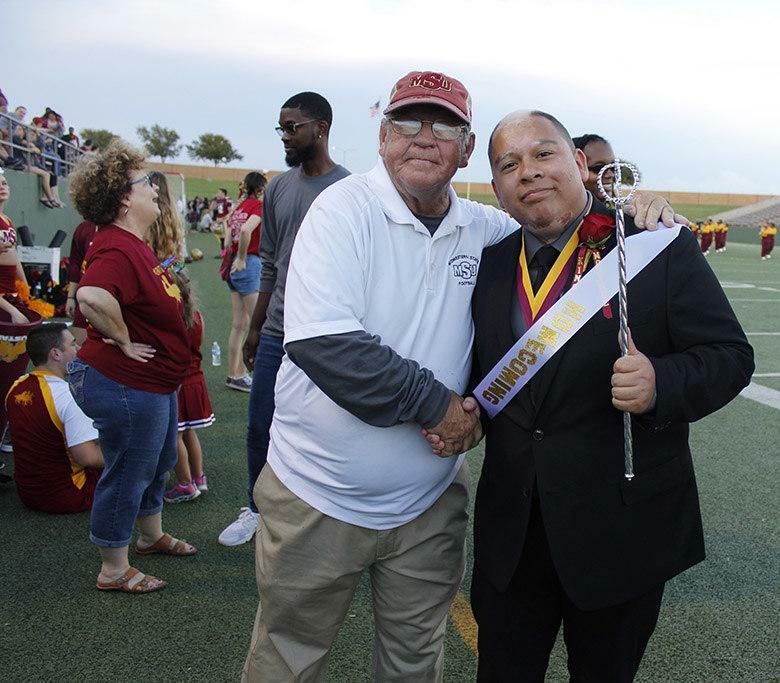 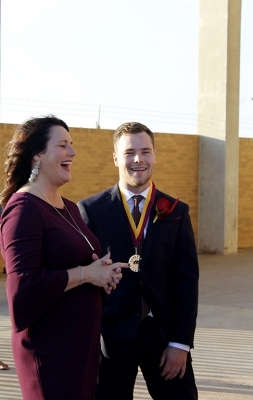 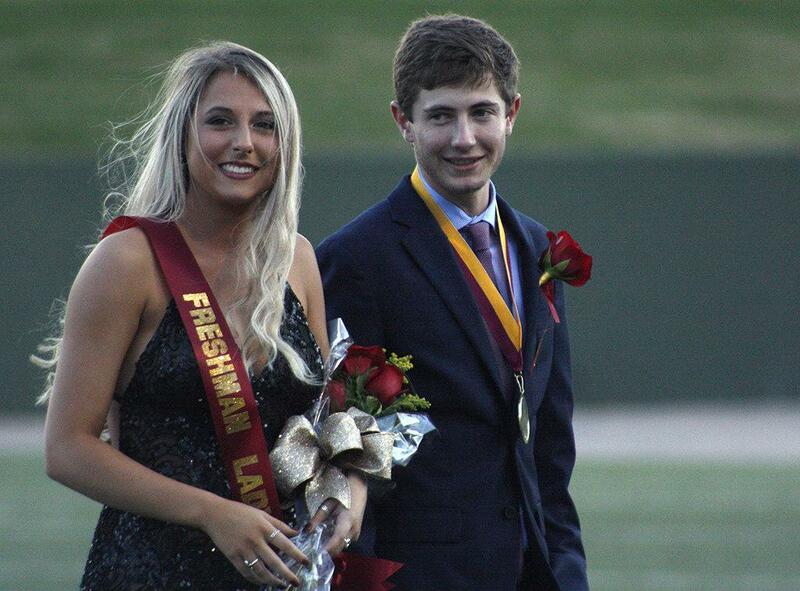 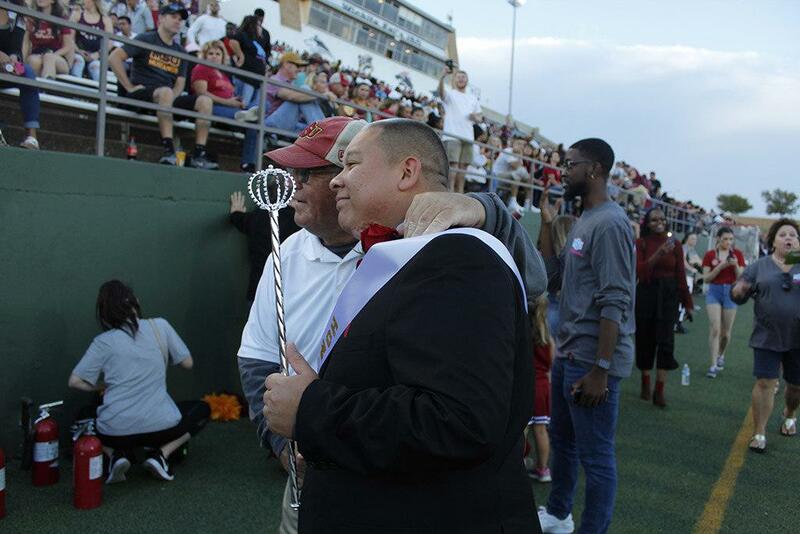 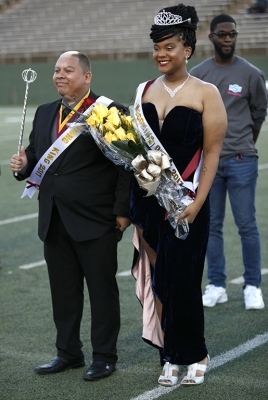 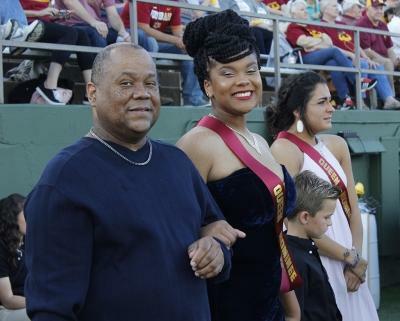 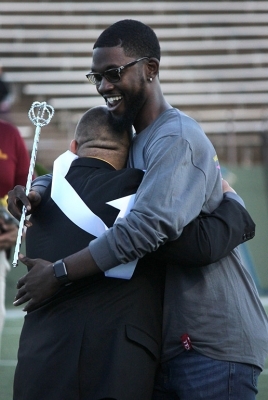 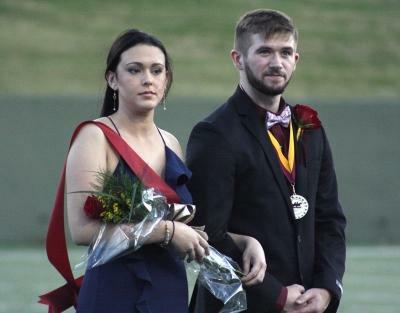 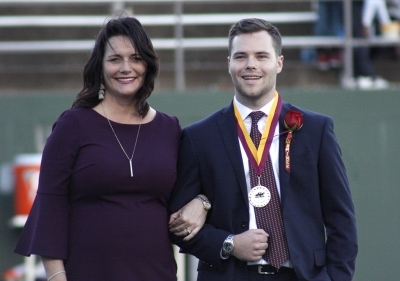 Mild chatter filled the stands as the crowd — and the nominees — waited for the announcer to crown the homecoming king and queen during halftime of the homecoming football game on Oct. 21. 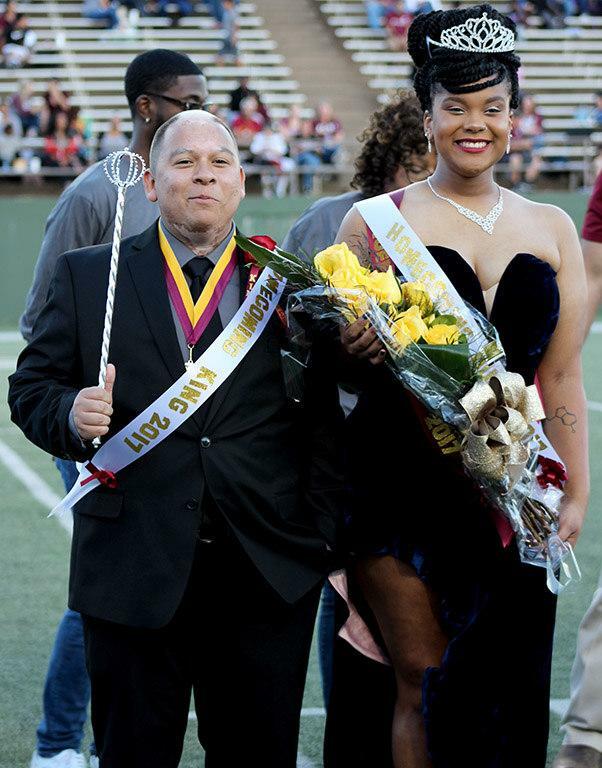 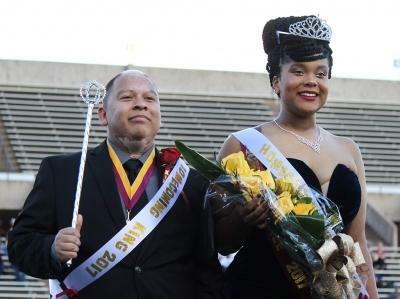 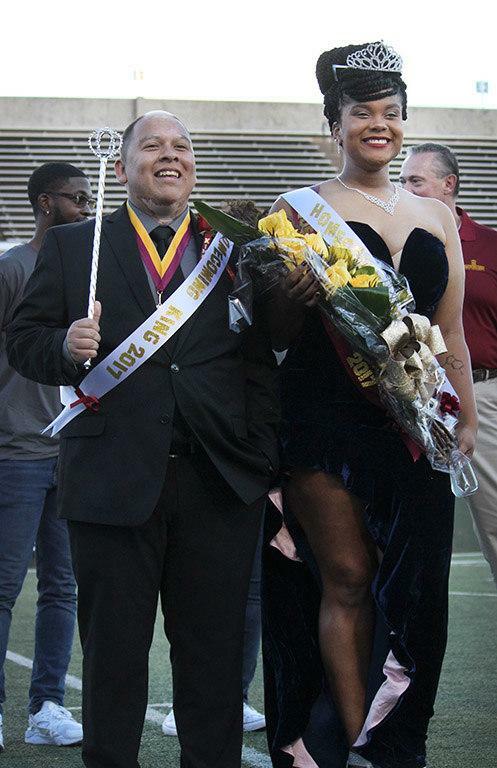 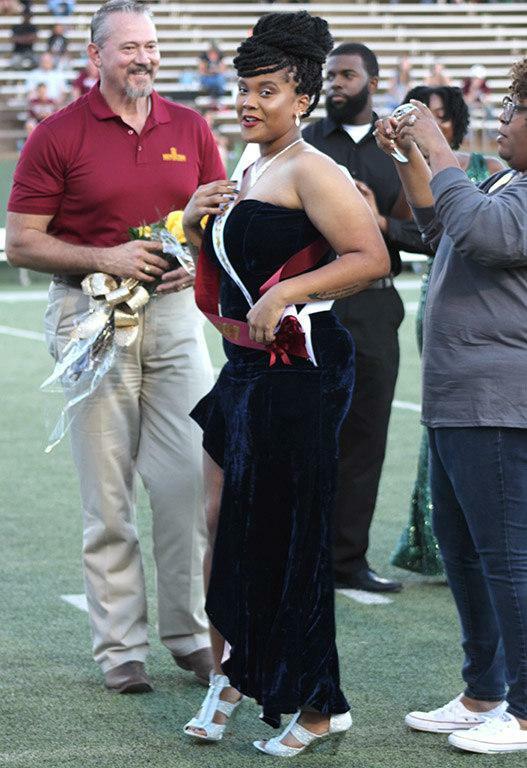 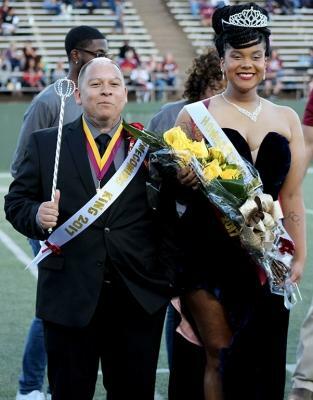 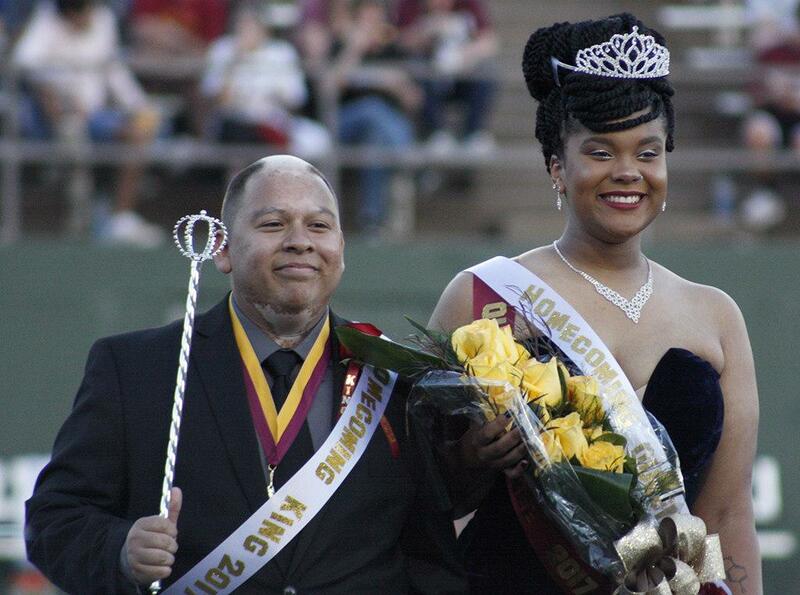 Sociology seniors Jaylon Williams and Juan Mercado were announced homecoming king and queen. Both of them shared smiles on their faces as they stood at the 50-yard line, waving at the crowd and listening to the applause from the crowd and their fellow nominees. 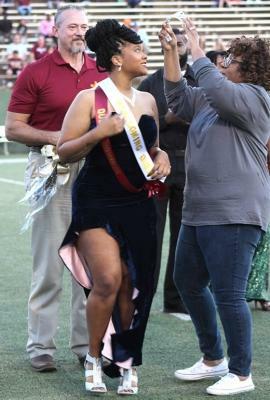 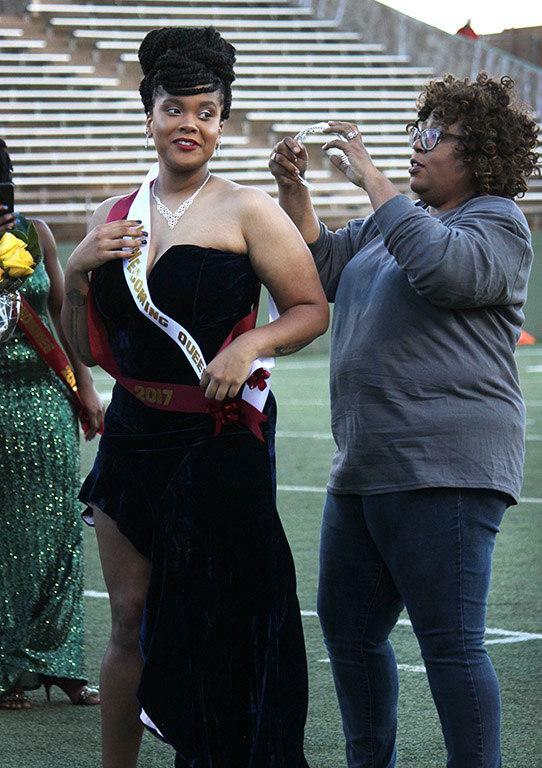 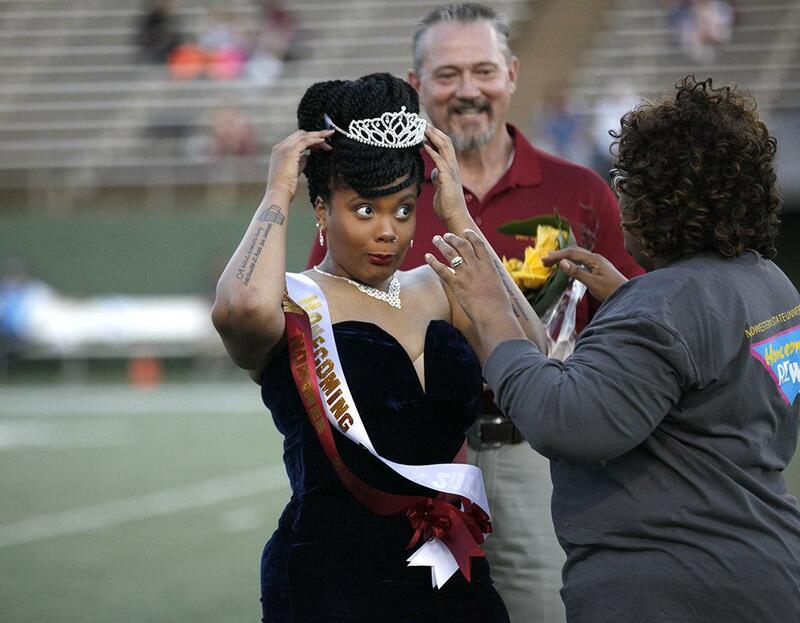 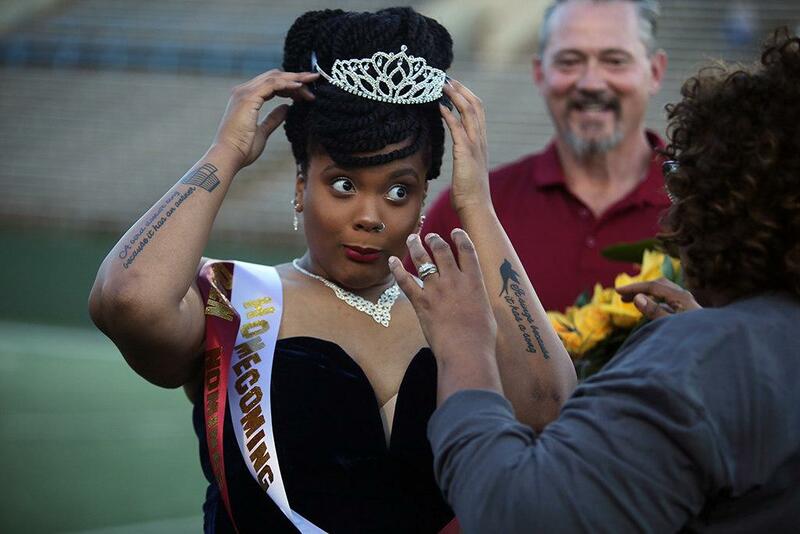 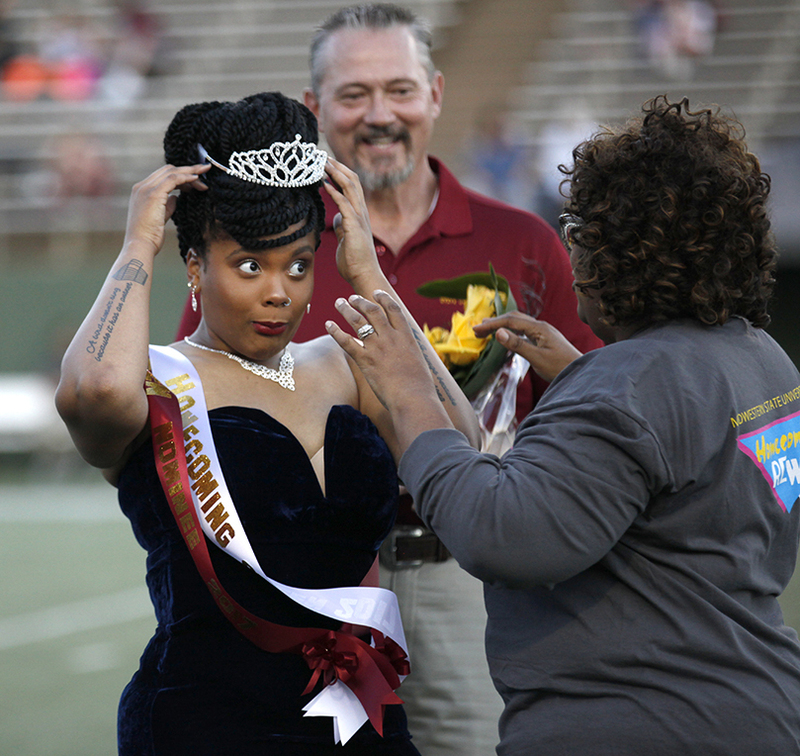 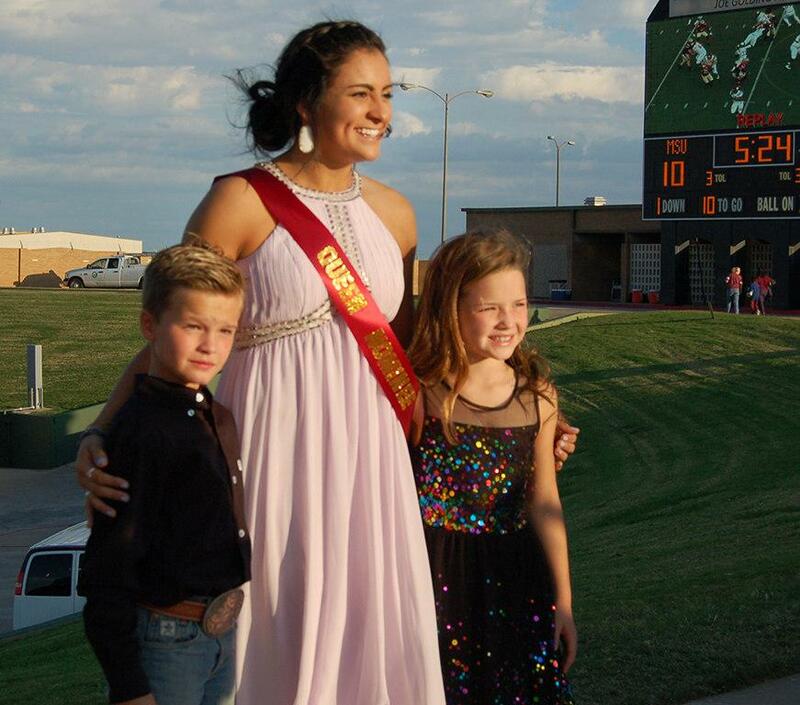 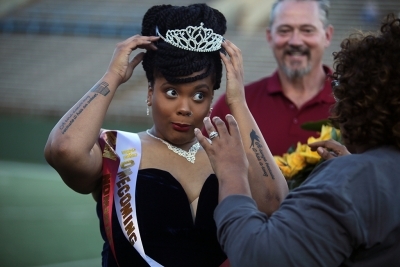 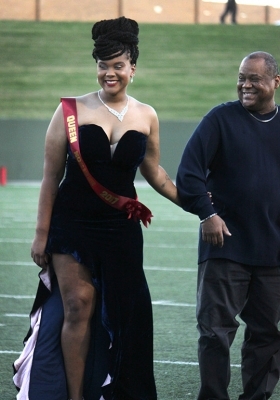 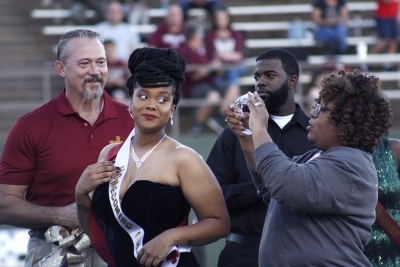 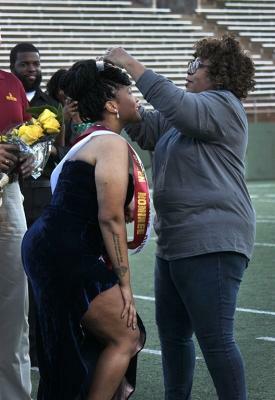 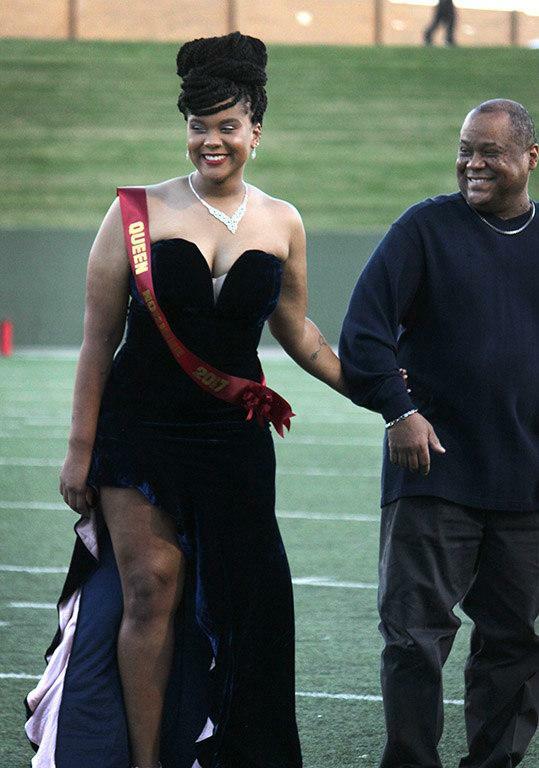 While Williams won homecoming queen her senior year of high school, Williams said she did not expect to earn it a second time. Wearing his sash proudly, Mercado said he was also surprised and thankful to have won. 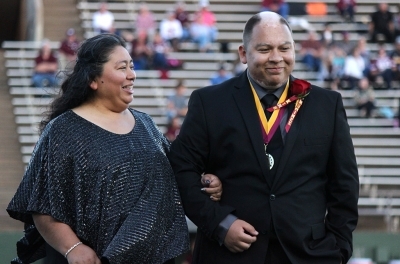 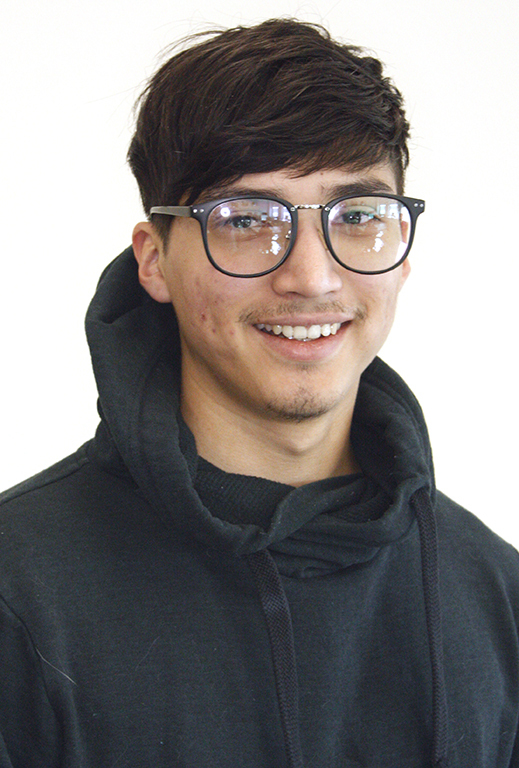 Hoping to have made an impact in his voters lives, Mercado wants to continue being active at the university. Mercado’s favorite homecoming event is the cardboard boat race and has been participating since he was a freshman. 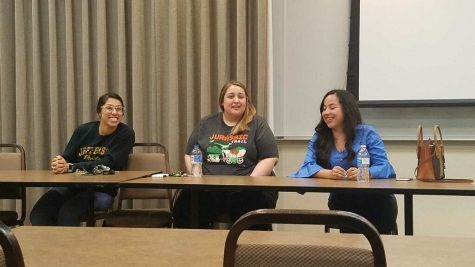 “It’s just great to see the whole MSU community come out and to see them build cardboard boats for their organizations and to support their organization,” Mercado said. 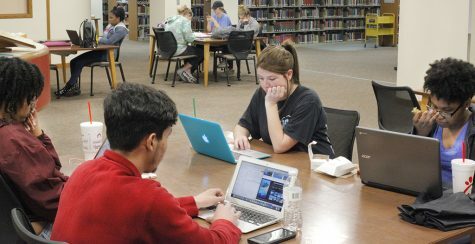 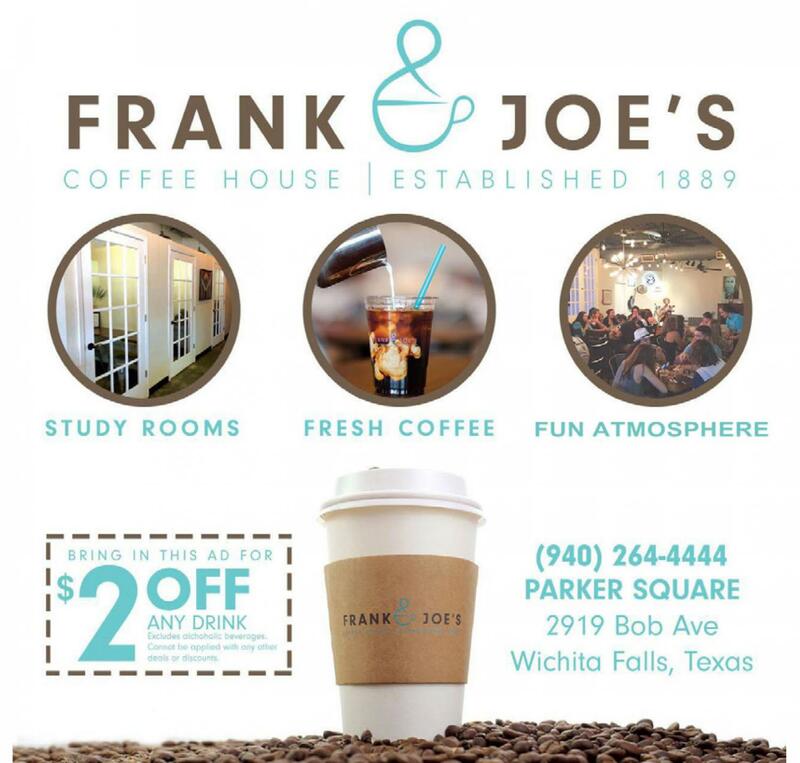 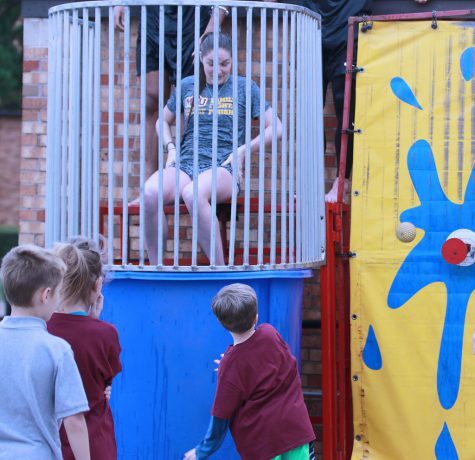 A trait that the nominees, king and queen share is active campus involvement. 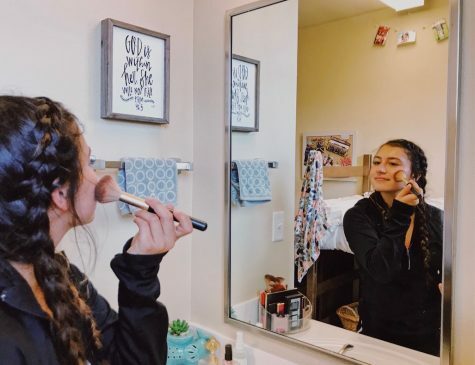 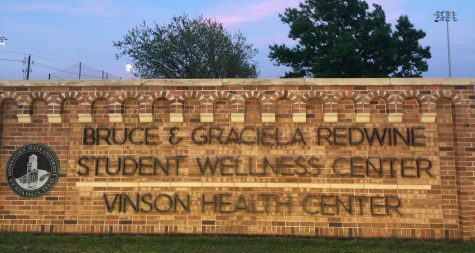 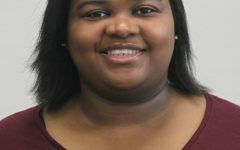 Being a resident assistant and secretary of Student Government Association, Williams said she was thankful for her peers and hall residents who voted for her. 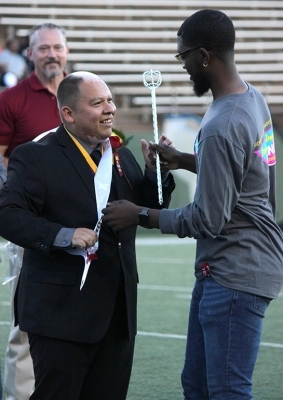 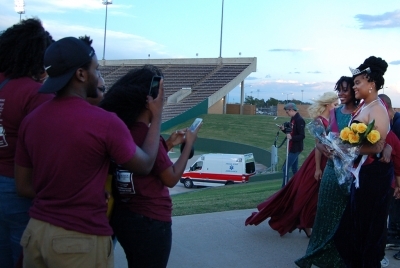 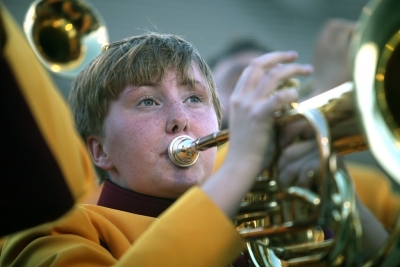 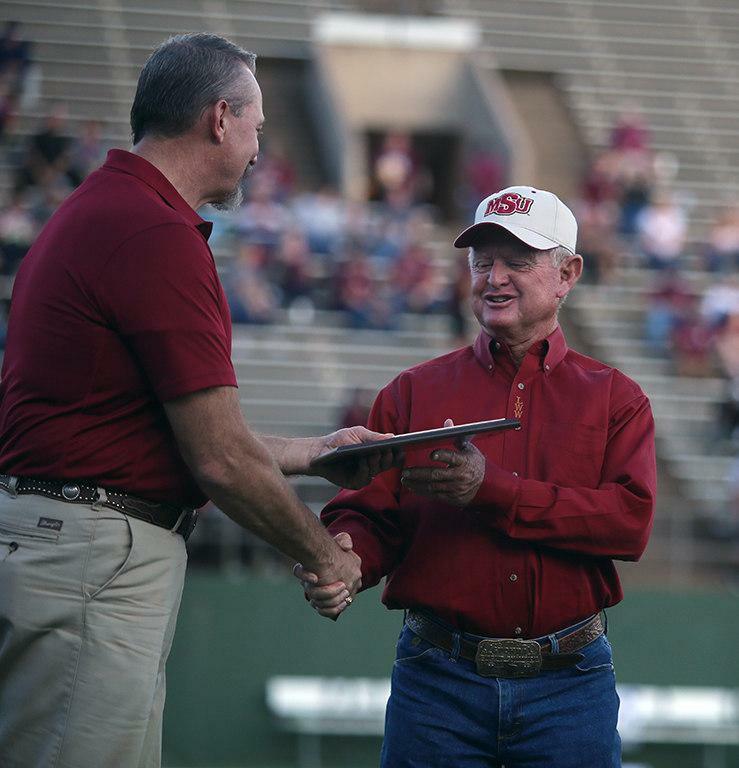 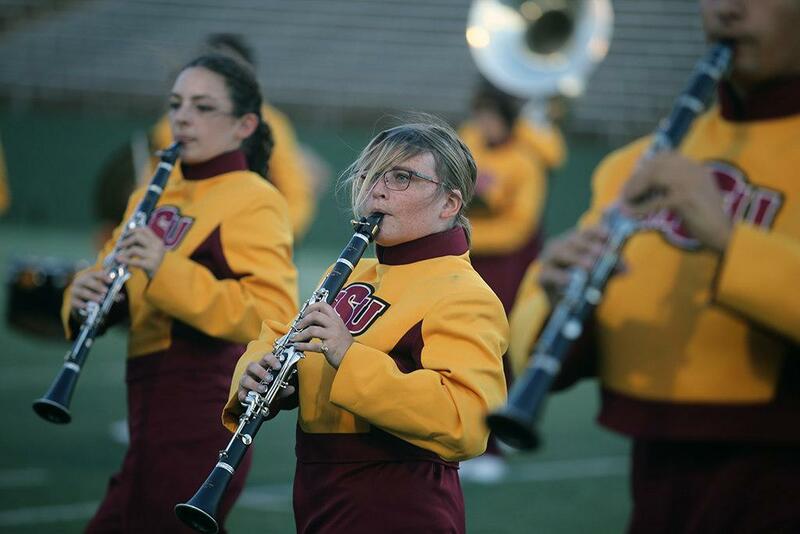 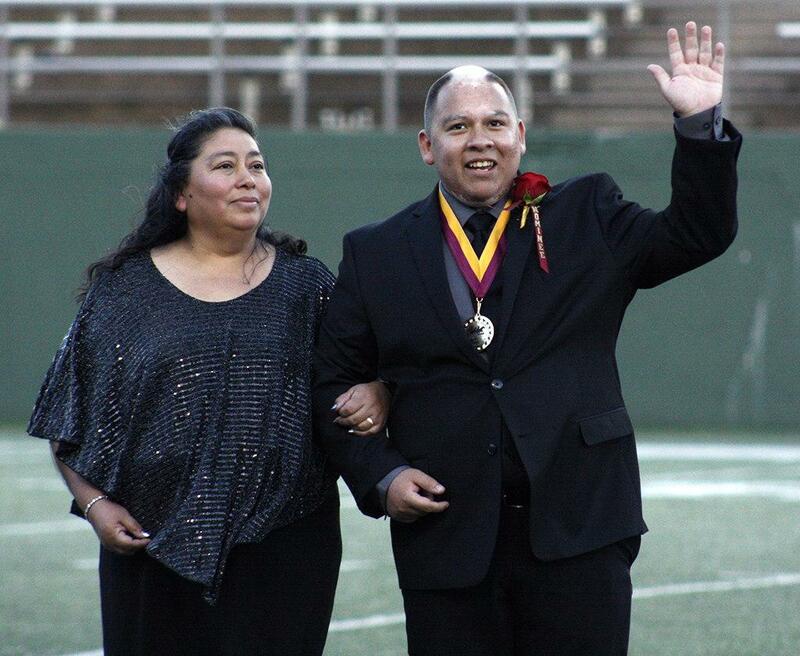 at the homecoming game against West Texas A&M Oct. 21, 2017. 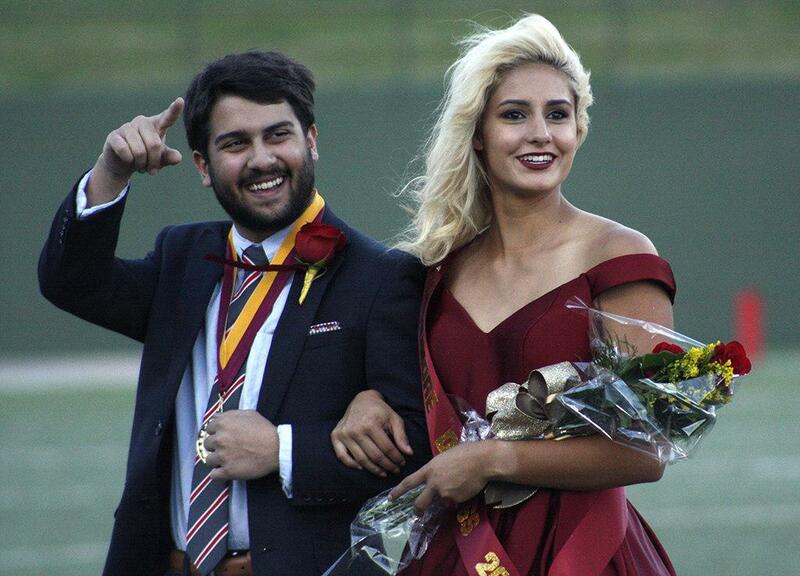 MSU won the game, called with about 5 minutes left on the clock due to weather, 45-3. 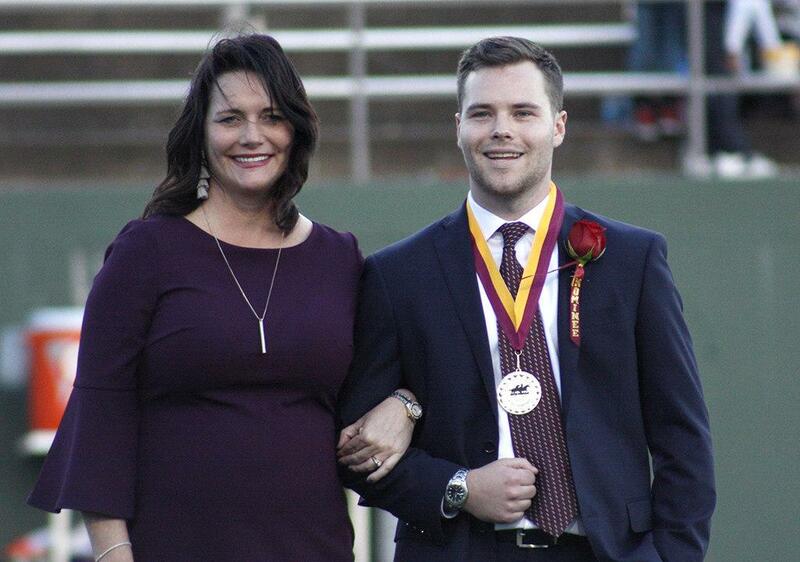 Photo by Bradley Wilson.